Ready to Become a Media Mogul? 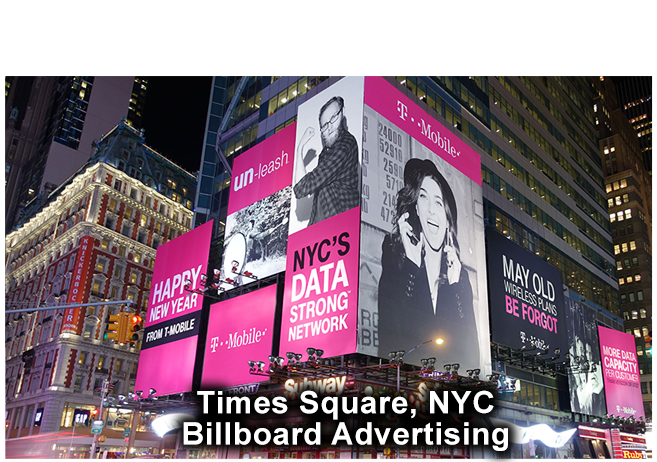 Illuminate your brand by being in the middle of Times Square, NYC. We will create a digital advertisement that will be seen by hundreds of thousands of people in 24 hours. Need massive exposure overnight? If so, this is definitely for you! 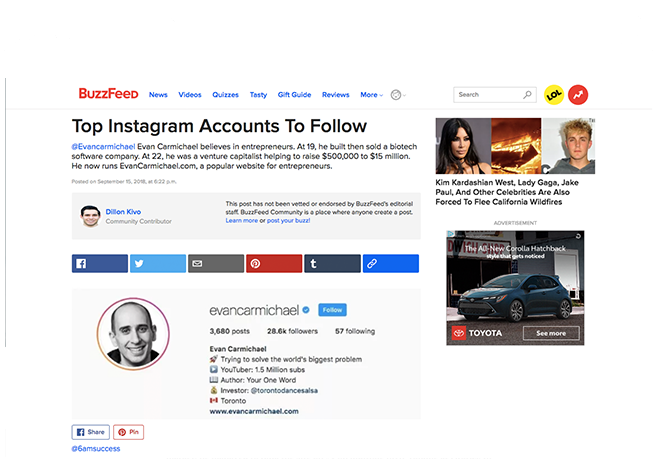 We put together an article of the “Top 20 Instagram Accounts to Follow.” Can you imagine the traffic each one of the listed accounts received? We will ensure that you are mentioned in powerful articles such as this one. One of our many articles on Entrepreneur.com. 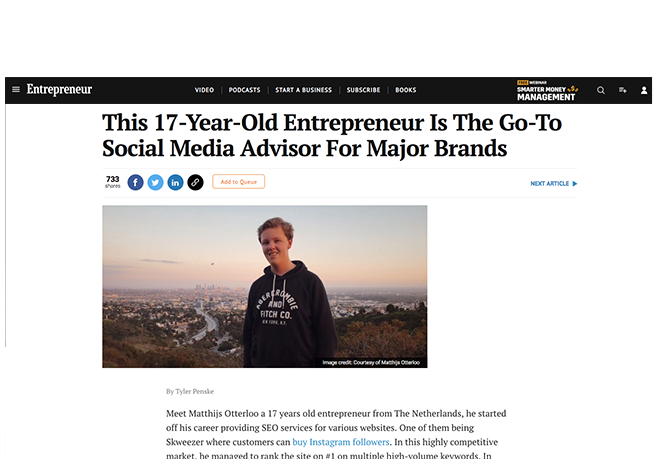 We were able to successfully get Matthijs Otterloo a full featured article on Entrepreneur.com. 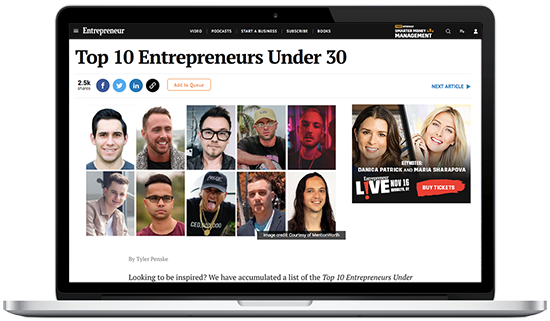 We get our clients placed on Entrepreneur.com on a daily basis. Will you be next? 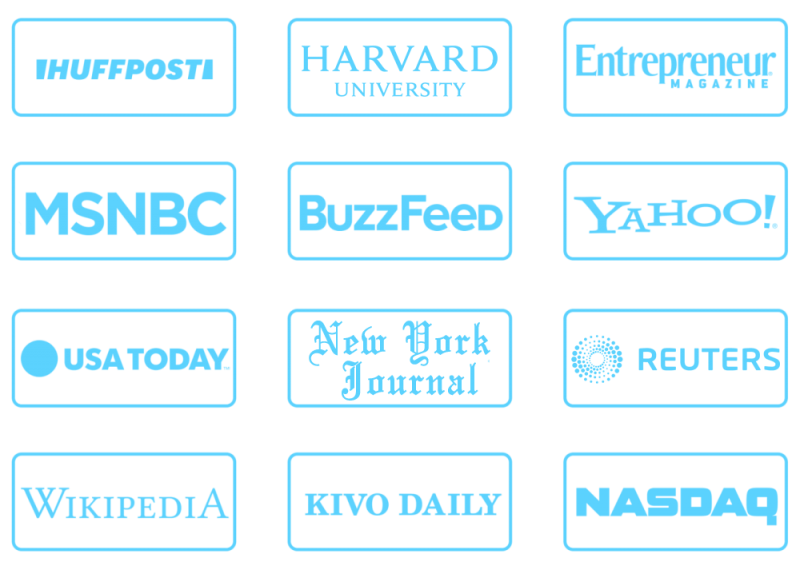 MentionWorth has secured over 1,000 media placements on top-tier publications. Connecting our clients with the media is our specialty. Collectively our articles have received over 10 Million views. Everybody wants the blue badge. Not everyone is eligible. We know what it takes to qualify for Instagram verification. We have helped many people get verified by using our services. Contact us to learn more. Would you like to see your face or company in the center of Times Square, NYC? We can make that happen for you. Let us connect you with some of the industries leading podcasts providing you massive exposure to your specific niche. I consent to Mention Worth collecting my details through this form. WE ARE A RESULTS-DRIVEN PR FIRM THAT EMPOWERS BRANDS BY DISTRIBUTING THEIR STORIES ACROSS MAJOR PUBLICATIONS TO REACH THE MASSES.